Sisters Penny Steele and Deborah Karn have found their recipe for success, and it tastes rich and chocolatey. 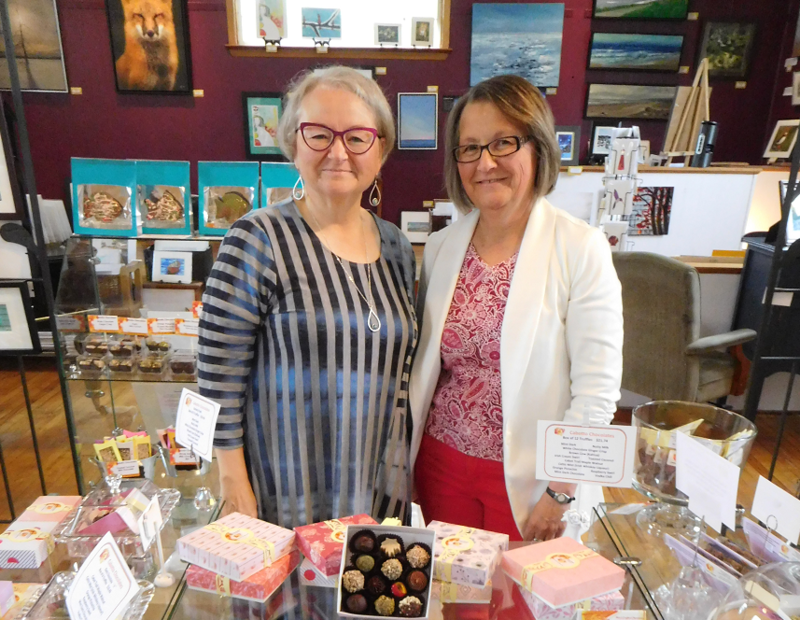 Based in Indian Brook on the Cabot Trail, Cabotto Chocolates creates handmade confections using natural ingredients. Their recipes feature Belgian chocolate, fresh butter and cream, and no corn syrup or preservatives. Penny talked with her sister Deb, an engineering technician who was living in London, ON, and asked her to design the custom packaging. Now in their fourth year, Penny and Deb can barely keep up with the demand. Cabotto Chocolates are sold at Colouratura during its operating season. As well, Penny and Deb will have a table at the Cape Breton Farmers’ Market in Sydney during the month of December.